Start your special day off in style! We can deliver a bottle of our finest Prosecco or Champagne to the Bridal Suite on the morning of your wedding day. 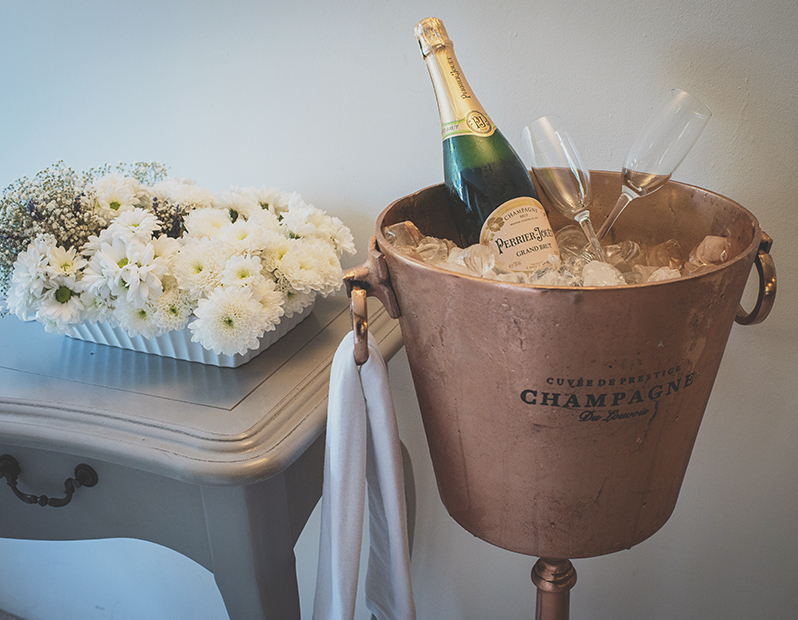 A member of our professional team will deliver and serve your choice of perfectly chilled bubbles in a lovely copper ice bucket, accompanied by a white serving cloth and polished Champagne flutes for you and your bridal party to enjoy.